a regional agenda that operates at three levels: culture, promotion and business. SAPIK organizes activities related to the promotion of economic, tourism and cultural assets of the City and the County of Szczecinek, both: at home and abroad. SAPIK responsibilities cover a broad area of creation of the city and district image as a region attractive for tourism and investment, animation of cultural activities, promotion of the city and district, production of promotion and information materials. SAPIK can provide huge testimonial of commitment to various International initiatives and can deliver expertise knowledge gained over CIVITAS Renaissance Project where it was a partner responsible for overall European dissemination, exploitation and training activities. Szczecinek is a town with some 40,000 inhabitants situated in the Drawskie Lake District, in the Northern province of Zachodniopomorskie Voivodship. The city’s stunning location between two lakes, the smaller Trzesiecko Lake, with a beautiful park spanning its shore and Wielimie Lake, draws countless tourists. Szczecinek, as seen by more and more tourists, is a beautiful place worth visiting. 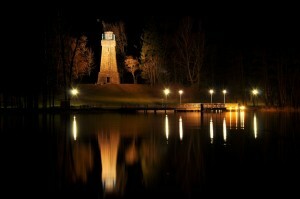 The lake situated in the center of the town is not only big, but also relatively clean and full of fish. The central promenade, well-preserved Municipal Park with an abundance of lanes and the forests in the vicinity are well known for their beauty. A tourism centre, Szczecinek promotes active recreation, particularly cycling. 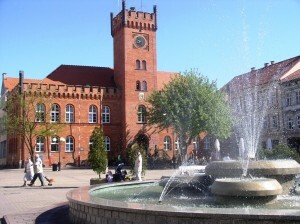 Szczecinek is a major town and a seat of chief local and subregional offices and institutions (Town Office, District Office, Tax Office, court, hospital, banks, etc.). The town is an important industrial (with wood, electronic, agricultural and food industries), tourism and cultural center for the Drawskie Lake District. Multiple secondary schools with long-standing traditions attract young people from neighboring towns and villages. Well-fitted sports facilities are the venue for sports events and recreational activities at regional, subregional and national levels. The main source of employment is for local companies, service providers, schools and various offices. The unemployment rate, although high, is considerably lower than in neighboring municipalities. What can summer school participants expect? Summer camp can expect very interesting ideas of sustainable urban transport developed in the city in the last few years – bike routes network, bike renting system, water tram, road safety. But also some recreational attractions – swimming pool, tennis courts, water ski lift. What is your assignment at the BAYinTRAP project? SAPIK’s leading role in the project as a Lead Beneficiary of BAYinTRAP is assigned to overall project co-ordination, supervision of activities schedule and execution, use of budget and reporting procedures. Moreover as Lead Beneficiary SAIK is committed to all other project components in different scope specified in respective component description. SAPIK is also an interface between project and Programme Authorities.